Its natural ingredients possess potent anti-inflammatory properties that alleviate pain. 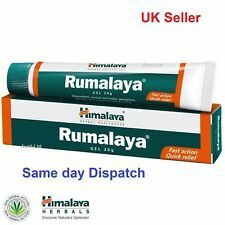 HIMALAYA RUMALAYA 30g GEL. Joint Body muscle pain relief. Drumstick (Shigru) improves blood circulation to the joints in addition to its anti-inflammatory and analgesic properties, which are beneficial in treating joint aches and pains related to arthritis and rheumatism. Buy Kombucha Culture / Mushroom / Scoby ORGANIC. We are here to help! ~How we make 1 quart of Kombucha Tea ~. (Kombucha tea is NOT an exact science. You can use different ratios of starter tea and sweet tea, more or less sugar. ). The actual scoby may vary slightly from the one in the picture as they are living and all look slightly different in shape and size. It is made from tea, sugar, a scoby and a starter from a previous batch. 10x Detox Foot Patches. Firmly stick the sheet onto the arch of the sole. Relief of Arthritis or joint pains. Remove the pad in 6 or 7 hours and clean your feet. Apply to feet before going to bed for best result. Water kefir is a probiotic beverage made with water kefir grains.Water kefir grains can be used to culture sugar water, juice, or coconut water. Water kefir grains contain no actual "grains" such as wheat, rye, etc. Strong 17.5% / 2500mg CBD Oil infused with organic hemp seed oil. 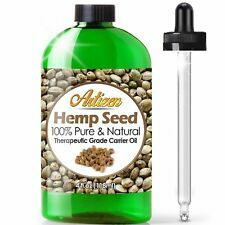 (82.5% Organic hemp seed oil 17.5% CBD) and nothing else! WE DON’T GUESS WE TEST! Unlike most CBD on the market! Questi coni per orecchie sono costituiti da un tessuto di puro cotone e cera d´api (vari fraganze con vari colori). Vi possiamo garantire una costante e buona qualitá. Calcium Bentonite (Fullers Earth) Clay - 100% Natural. Calcium Bentonite / Fullers Earth Properties. Calcium Bentonite occurs as a light brown clay fine powder at room temperature; it has excellent absorbent properties and is capable of absorbing most forms of liquid (including oils). These kernels originate from China, which possesses the best apricots in the world. The Original EIP Purple Plate. This Purple Plate Disc carries the EIP Logo and is produced in the USA by the only manufacturer of these plates. Think of it as a personal size plate that is conveniently sized. Being tall is a desirable attribute for many people. ‘Stand Tall’ Growth Pills contain a unique formulation designed to enhance your height. The growth pills are a safe and natural way to quickly and permanently increase your height. Arnica montana flower extract. Arnica Gel can also be used to assist in the relieve of muscle aches and pains, stiffness, sprains, bruising and swelling. Arnica Gel. Aqua, Pyrus Malus Juice , Alcohol , Xanthan Gum, Chondrus Crispus Extract, Glycerin , Arnica Montana Flower Extract, Lavandula Hybrida Oil , Glucose, Sodium Phytate, Maltodextrin, Sodium Citrate, Linalool , Limonene certified organic natural fragrance made using organic ingredients. Huile de Nigelle (Black Cumin Seed Oil) BIO Non Torréfié Pression à Froid Graines Nigelle. DISINFECTION AGENCY with powerful antiviral, antibacterial and antimycotic action. Once silver is in the bloodstream it will circulate, selectively incapacitating harmful bacteria and viruses. Ingredients: colloidal silver. Vitamin B12 contributes to normal functioning of the nervous system. Vitamin B12 contributes to the reduction of tiredness and fatigue. Vitamin B12 contributes to the normal function of the immune system. This is normal and may feel a little uncomfortable at first, but after a few applications the sensation will get less. It is very easy to use. Simply apply the cream to the painful area with gentle rubbing. Water kefir is a fantastic probiotic beverage that has many health benefits due to the beneficial bacteria that will help heal and keep you healthy. It is a great substitute for cola beverages, as it has a mild sparkling taste with carbonation.